The New Year is an opportunity to plan and fulfil personal dreams and make positive life changes. 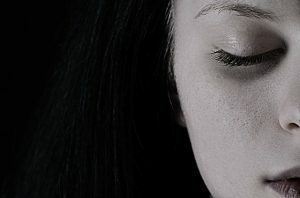 However, for many it’s an unwanted pressure that triggers all manner of complicated and confused feelings. Sometimes we can cope and the feelings pass but what if they don’t? How do we know if what we’re experiencing is having a detrimental effect on our health? The reality is we may all experience some sort of stress in our lifetime. It happened to me after the birth of my first son. I suffered terrible post natal depression and found it really difficult to even step out of the house. However, I believe that it was my yoga practice that offered the most relief and helped me on the road to recovery. It certainly changed my life for the better because the experience opened my eyes to others struggling and I was able to create Yoga4mums. It takes courage to ask for help and when your self esteem is in tatters, that’s not an easy thing to do. There are usually no instant solutions to problems but if you are able to take an active part in your treatment, it should help your situation. Talk to your GP and ask for a recommendation to a good counsellor. I know you feel like kick boxing your aggression out but high impact training isn’t a good idea just yet. Yoga will soothe the nervous system and gently massage your body back to health. With gentle therapuetic postures, mindful meditations and relaxing breathing techniques you’ll soon begin to feel your mood lifting. Regular practice will also aid your appetite and sleep patterns. Watch your diet at this time. Choose yummy organic fruits and vegetables high in nutrients and drink plenty of water and warm herbal teas. Avoid wheat, additives, caffeine, fizzy drinks, refined sugar, alcohol. Check out Food for the Brain for extra ideas. Let me leave you with this…it’s ok to be, in the moment with your feelings. Have a go. Take a few deep breaths, relax and step into that dark space. Let go of the fear, expectation or judgement of yourself. 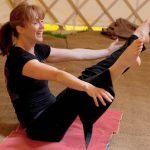 Cathy has worked as a somatic therapist for a number of years now specialising in yoga programmes for those with mental health conditions, learning disabilities and Autism. She has won a number of awards for her contribution to community wellbeing and runs a variety of classes that raise funds for local schools and charities.